Flip a coin. 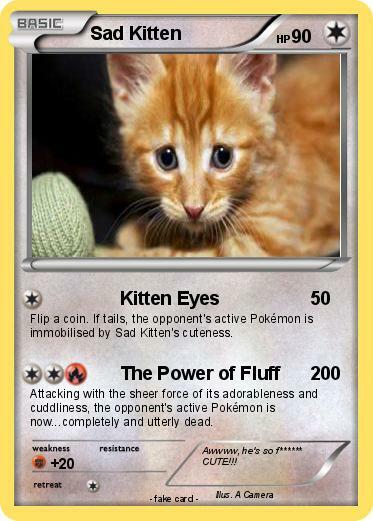 If tails, the opponent's active Pokémon is immobilised by Sad Kitten's cuteness. Attacking with the sheer force of its adorableness and cuddliness, the opponent's active Pokémon is now...completely and utterly dead. Comments : Awwww, he's so f****** CUTE!! !